Virgin Media has finally confirmed details on its eagerly-anticipated TiVo-powered HD/3D set top box - which will have 1TB of storage and a dedicated internet modem to bring internet services and apps direct to the television. Virgin Media's announcement of a deal with TiVo last November caused great excitement, and the cable giant is keen to create a real buzz around its efforts to upgrade and compete with Sky. Virgin Media is already offering a well-established HD on demand service, but the TiVo-powered user interface will make a much-needed difference to the customers' experience. The HD/3D box will launch alongside the new TiVo powered next generation connected service 'later this year' – and the 1TB of storage will be very welcome to those people who like recording series in HD. "Powered by Virgin Media's unique fibre optic network, the box will also feature its own dedicated internal modem able to deliver HD video and other online services without impacting customers' regular broadband connections, adds Virgin Media's release. "As a result, Virgin Media's new TiVo-powered service will not only be able to deliver linear TV alongside an unbeatable instant TV on demand offering but will also be able to support compelling online video in HD straight to customers' TVs without having to sacrifice other online activities when in use." The Virgin Media Tivo box pricing and UK release date will be announced "in due course". 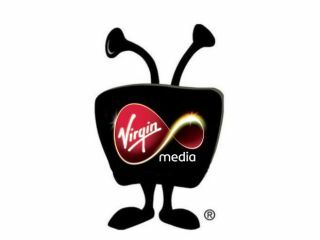 Cindy Rose, executive director of digital entertainment at Virgin Media, said: "Virgin Media's next generation connected TV service - powered by TiVo - and combined with our superior broadband will blow other 'connected TV' products out of the water. "We're really proud of our new next-generation TV service which will appeal to anyone and everyone looking for the best of live broadcast TV, catch up, on demand and internet apps and services."